Last week, it was burger-time again! 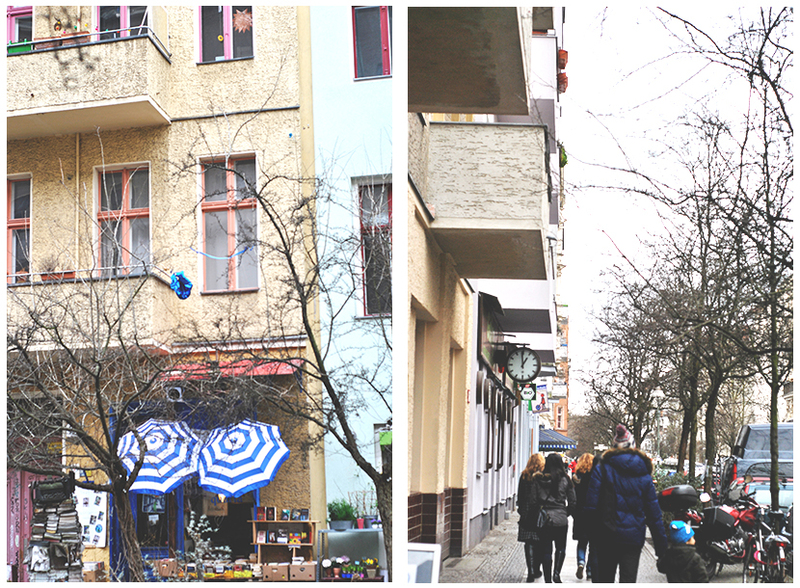 Not in my beloved Prenzlauer Berg/Mitte hood, but somewhere more southern: Kreuzberg. Room 77 it was. The friend I was with assured me that she had been coming here for years – a perfect reason for me to try the place out. After entering the restaurant, we asked for a table for three, the waitress answered with an uninterested gaze pointing to the back of the restaurant. We took place on comfortable sofas at a long table in a cozy corner, lit by candles. After one glance at the menu, it’s immediately clear that vegetarians-craving-burgers are not at the right place. There are no vegetarian options. Next to burgers, you can also order Mexican specialties like tacos, enchiladas and burritos. I chose a steak burger: the Churrasco (only available during weekends), with cheddar cheese. Potato wedges and onion dip—a sour cream sauce with onions—is included. Too bad that sweet potato fries, one of my side-dish –favorites—and the promise of which my friend lured me to the restaurant in the first place—are not on the menu. My burger was tasty, the steak very tender, a perfect match with the melted cheddar cheese. The portions are big, you get a big burger with a huge pile of potato wedges. Unfortunately, I had no room in my stomach left for a deep fried mars bar (the only dessert option). The tacos, ordered by other guests, looked very appetizing as well. The interior is typically ‘Berlin’: very casual, vintage sofas, oriental cushions, shaded-lamps and candles in wine bottles. The restaurant is spacious, so it wasn’t difficult for us to find a place, even though it was a Friday night. Though I still think it is wise to book in advance, I’ve heard that especially later in the evening, the restaurant can be very full. If you have no appetite, you can also come here for some quality cocktails. The service… uhhmm… I have to say that I was quite dissapointed. The woman that ‘welcomed’ us was regrettably also our waitress for the evening. I’m totally used to the service level here in Berlin, but this was something else. One of my table companions wanted a beer and asked about what options there were. The waitress sighed and told her to just look at the menu as there were too many options to mention. Our food was brought quickly, which was definitely a plus. But she took away our plates immediately as we finished, even though the others were still eating. After our meal she asked us, with a grumpy face, if we wanted anything else. We felt the only smart thing to do was to ask for the bill. As part of her tip I included two five-cent pieces (btw this was not the whole tip, but it probably should have been), but she left them on the table! I’ve really never experienced this before… It could also be me, maybe it was wrong to include these five-cent pieces ? If you know, please leave a comment below. 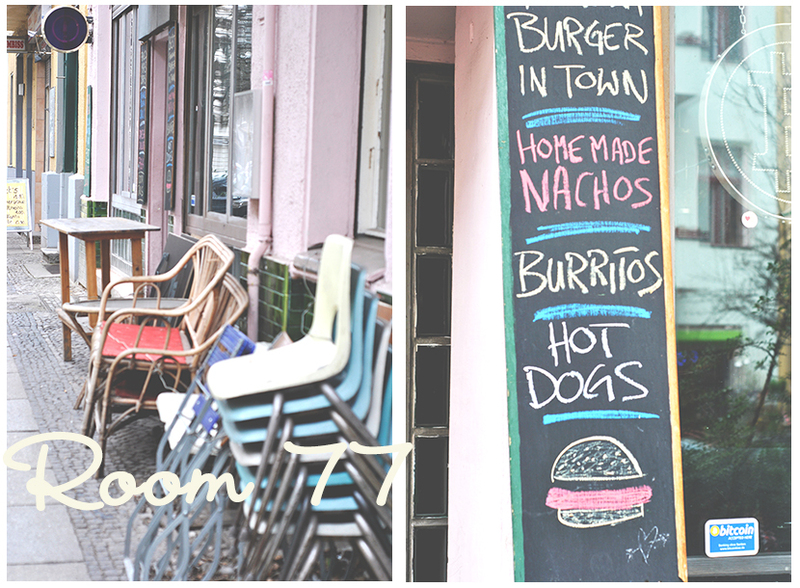 I would love to come back to Room 77 to try their Mexican food, but will immediately turn around and walk away if I see the same waitress. The photos were taken a few days after my visit.